We will give them NEW LIFE! 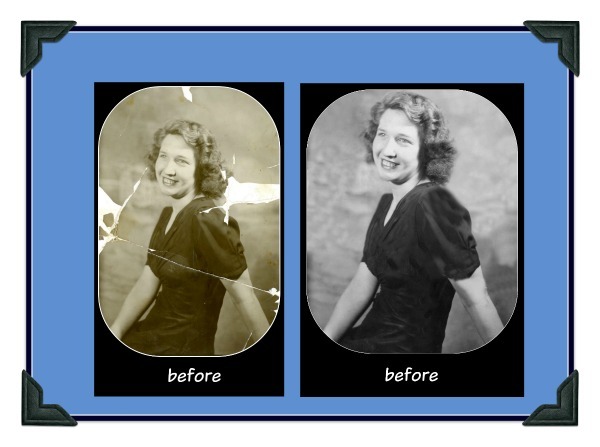 Our photo restoration processes reveals memories fade by time and enlarges the characters from your past! Each photograph is reviewed and given a restoration price. The prices range starting at $2.00 for a simple crop and switch to black and white. The more complicated the fix, the higher the price. Typically, the top of the range is $20 for a more difficult fix when the photo has many problems like cracks, spotting, and color problems etc. It is very rare that the price goes over $20.